The majority of the NZ market wants three widths and different lengths. 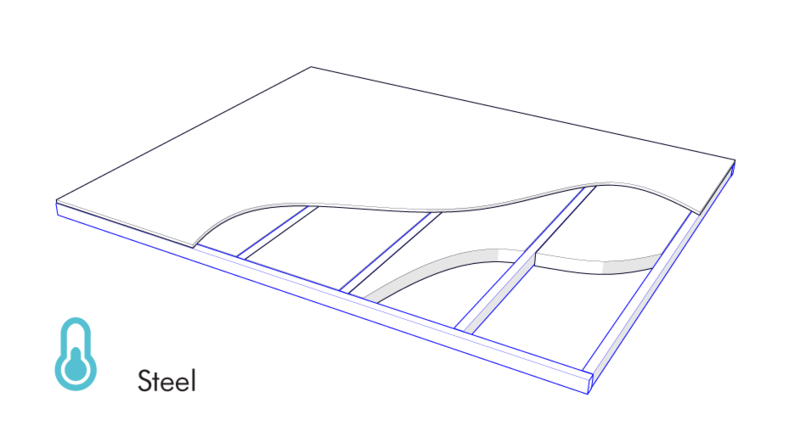 We have you covered with widths of 2.4m 2.7m and 3m. Lengths we offer 4.8m, 5.4m, 6m, 6.6m, 7.2m & 7.8m. 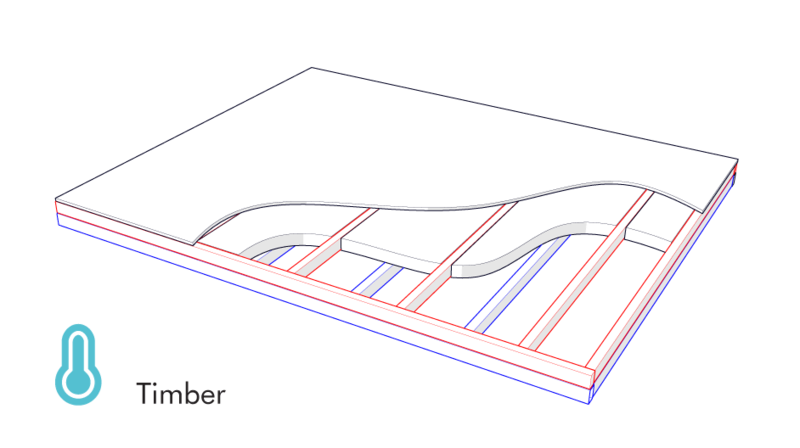 Intervals of 0.6m are designed around standard building materials. For example most sheet products are 1.2m meaning you will have less waste and save time cutting, thus reducing your costs. We use a removable dolly that carries the wheel assembly and mudguards in two options. Plus offer a less flexible, less expensive direct fix option. Our 'Smart Trailer' comes in two versions, Road and Site. Each version is adaptable and can be customised to your needs through a variety of accessories. Don't need a jockey wheel? So don't select one. Want a trailer with no suspension or brakes? Choose the accessories you want here. Do you want to be able to remove the house from the trailer? The wheel dolly and draw bar assembly simply unbolt from the trailer chassis. This gives you the ability to obtain a warrant of fitness (WOF) without having to take your tiny house to the testing station, it also makes it easy to carry out maintenance simply. An added bonus - you could use this trailer to pick up building materials while the house is suspended during build or completion. Trying to get your mobile tiny house into a tricky position? 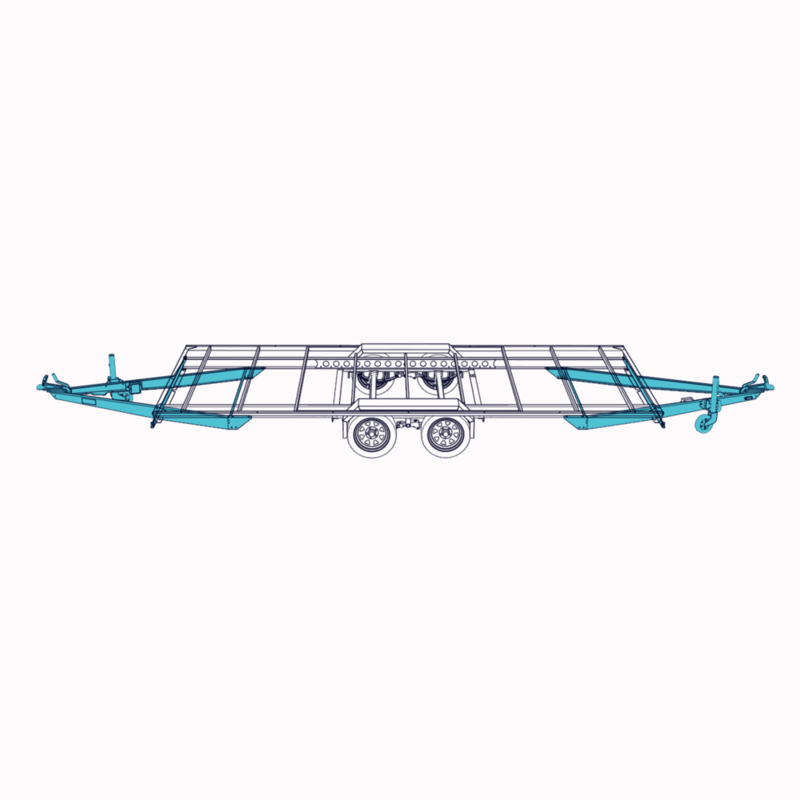 We got you sorted with a draw bar that can mount either end of the trailer chassis/deck. We recess the low profile wheels into the sub-floor to ensure the final height of the floor is as low as possible. This maximises the height of the house but still achieves the minimum 1.3 floor R value. The easy to build on finished flat deck sits at approx 600mm from the ground to the top of the mudguards. Our trailers utilise ‘smart design’ to ensure strength whilst being lightweight compared to others on the market. For example our Smart Trailer Road 2.4 x 7.2 weights only 650kg approx. leaving you with that bit extra weight for your house. Not sure where the center of gravity is on your house? Or want to have the ability to free style your build as you go and not worry about axle placement? We have the solution with a wheel dolly that is adjustable forward and back to ensure you have the correct weight on the vehicle tow bar for safe towing. You know what it's like to touch steel on a cold day, so why would you build your floor directly on it? Steel conducts approx 350 times better than pine timber meaning the cold will travel straight up and into your home if building directly on steel. We recommend the use of timber and insulation to keep you warmer in winter and cooler in summer, this also reduces your energy bills. The lifting mount is used to attach the lifting jack or the lifting arm. Comes standard on the Site trailer and an option on the Road trailer. The lifting jack is used to lift the house in four places enabling you to be able to remove or adjust the dolly and draw bar assembly. Levels your build platform in minutes to a good working height. The tie down eye is used to secure the house to the ground or truck deck via something like a strap. The lifting arm is used to lift the house onto a truck or site. We treat trailers as house foundations and you only get one shot at getting it right. We build trailers strong but without unnecessary weight. The trailer has been analysed by an independent structural engineer so you know it's not going to break. We build things to last. We use NZ sourced steel and hot dip galvanise, giving it the best possible protection to last. Let's face it who wants to do trailer repairs with a house on top? Welding is done by a experienced certified welder. We have teamed up with who we feel is the leading trailer suppliers in NZ Trailequip and Treadway. They supply only quality products and are always innovating and improving.